The strategy was formally adopted by the council late last year and it highlights food tourism and skills development as particular opportunities for the region and suggests that the industry could be the foundation of Dumfries and Galloway’s future economic resilience, creating employment and business opportunities in almost every community of our region. The strategy has been developed over the past year following extensive consultation with industry partners and sets an ambitious target to double the value of Dumfries and Galloway’s food and drink industry to £2.5 billion by 2030. The growth ambition aligns with the national strategy, ‘Ambition 2030’ which aims to double the value of Scotland’s industry over the next 12 years. 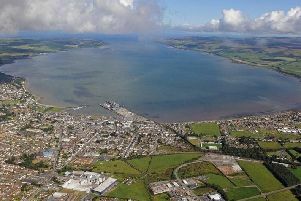 Food and drink is already Dumfries and Galloway’s largest, fastest-growing and most valuable economic sector, with an annual turnover of £1.2 billion; accounting for 25% of all private sector economic activity. Spanning the full supply chain from field and sea to plate, the sector includes agriculture and fishing, through to food producers.